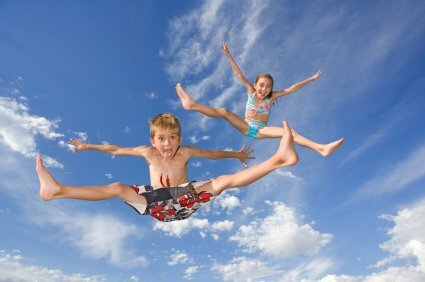 This product which is intended to be used for smaller children comes in no so big body. With only 5 foot in diameter (approx. 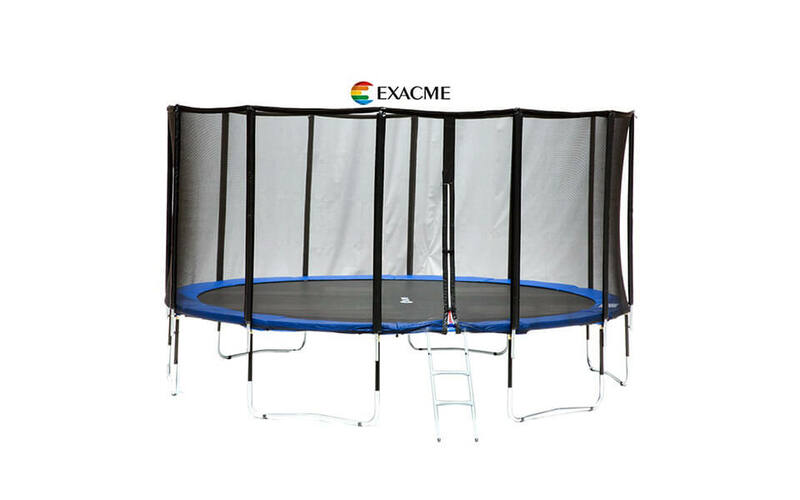 152 cm) is enough to be used by only one jumper, despite the fact that manufacturer stated as capable of handling 2 children simultaneously. 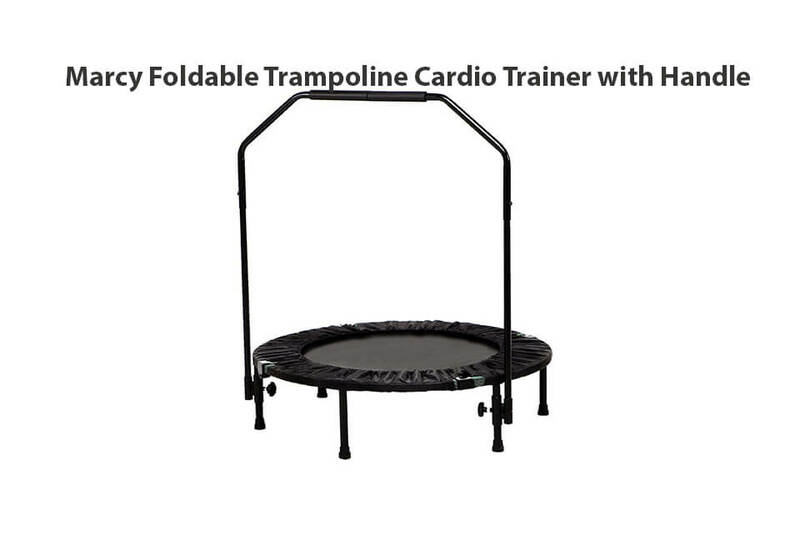 Don’t get me wrong, with 240 lbs weight supported this is enough for 2-3 smaller children, but the size of trampoline itself is the issue. Complete dimensions of this product are 100x136x28 inches with weight of 46 lbs. Have in mind that accidents can occur because they do jump on it so with this dimensions it is clearly not intended for more than 1 person. At least not without direct supervision. 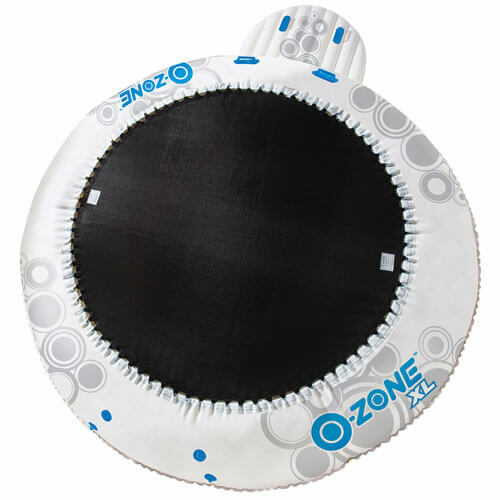 What is good about Rave O-Zone water trampoline? 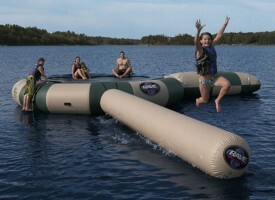 There are several things about this water trampoline which do make it a good purchase, especially if you buy it on discount or clearance sale. First thing is 1 year warranty. This is pretty tough to beat as most manufacturers give limited 3 month warranty and after that you are alone. So if problems do occur (not punctures – this is completely your fault) simply return it and get a new one. 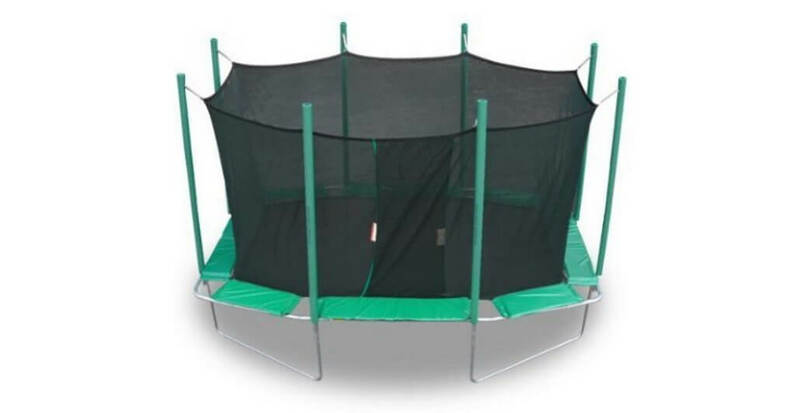 Next, this trampoline is very easy to assemble. With very good assembly instructions it can be done under an hour with only one person involved. It is lightweight. 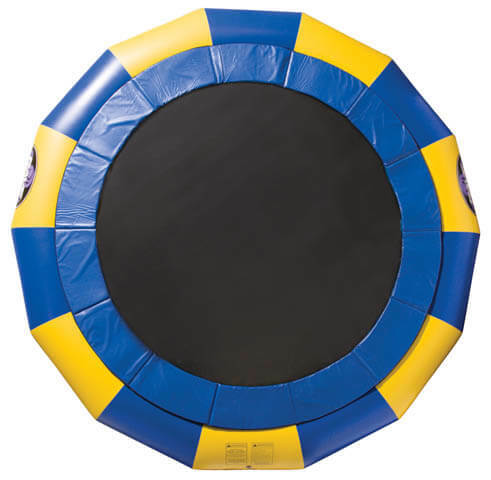 With weight of only 37 lbs this water trampoline is lightweight and easy transferable to any place you like. Of course, size of it dictates that at least two person should be carry it or be prepared on possible punctures. Price. With only $269.00 it is one of best buys when it comes to price and together with additional features (slides, lounges) it can make pretty decent private water resort. 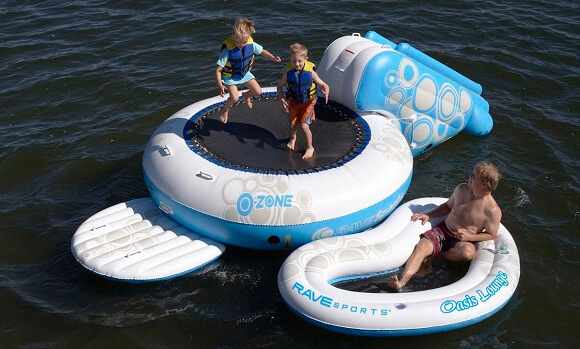 What is not quite good about Rave O-Zone water trampoline? 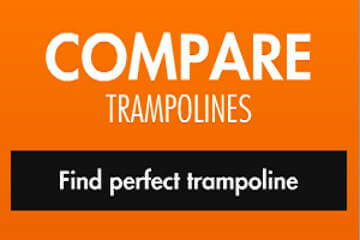 As you might image one thing we didn’t like from start is size of this trampoline. Even doe it is sufficient for a kid to play in backyard pool or nearby lake we would rather like to see a bit bigger product from Rave. 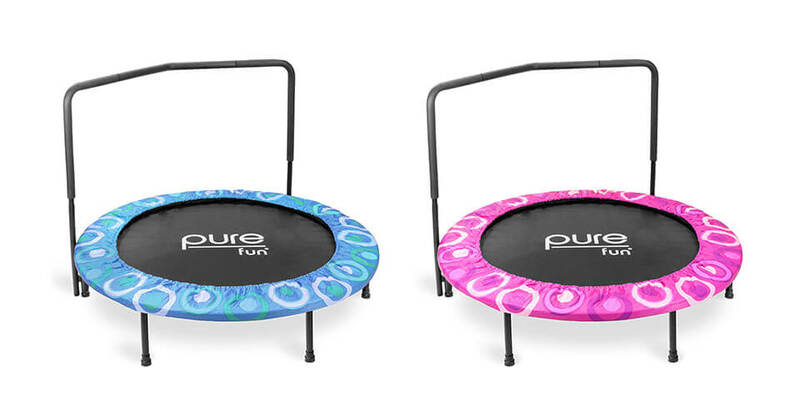 Next important this is bounce itself. 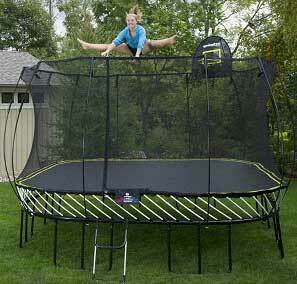 We just aren’t happy with bounce it offers for low weight jumpers. Bad jumping mat or size issue? 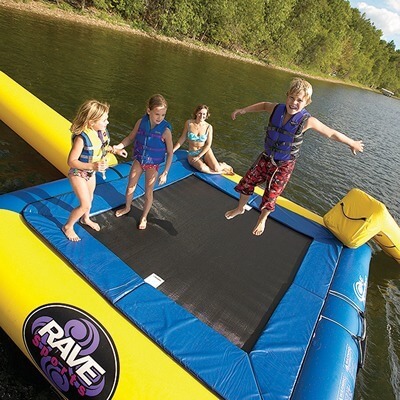 We have no idea but Rave will need to work this out if they want to continue to sell mini sized water trampolines. If not, there is competition waiting just behind the corner. 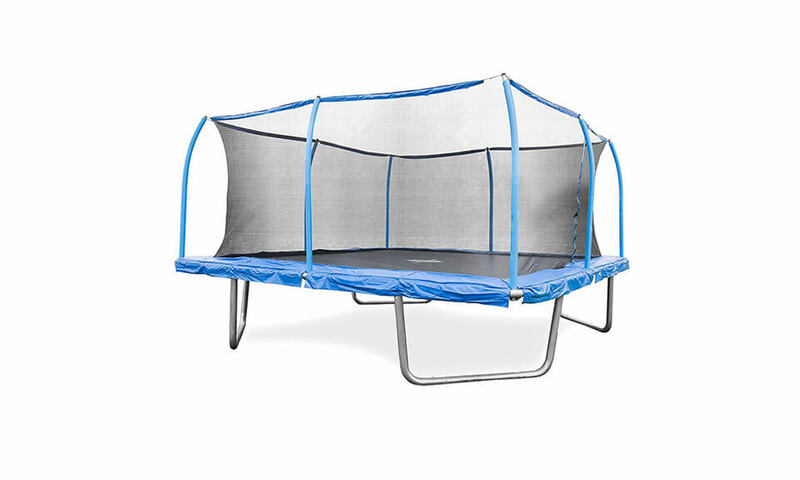 With good price, good warranty and excellent quality (except for mat) this trampoline is well worth of buying if you have one small child who will use it. 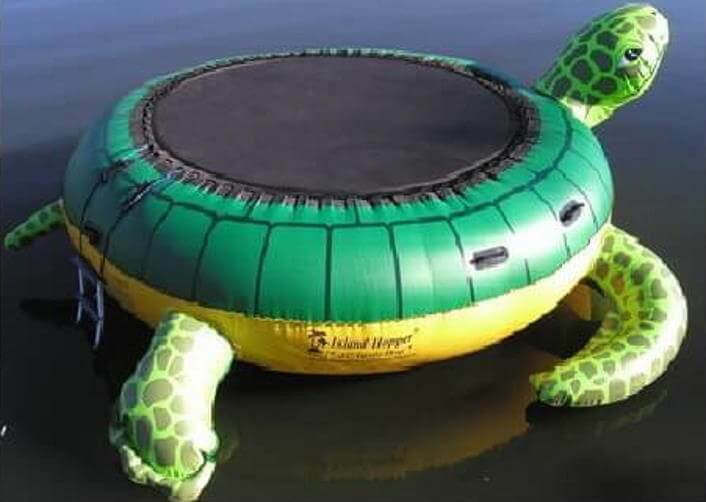 If you plan to use it for multiple years then our advice would be to take XL version of this water trampoline with list price of $400 and dimensions 132 x 132 x 36 inches. Also, always have in mind if more than one jumper is on board constant supervision is required because serious risk of injury is possible! 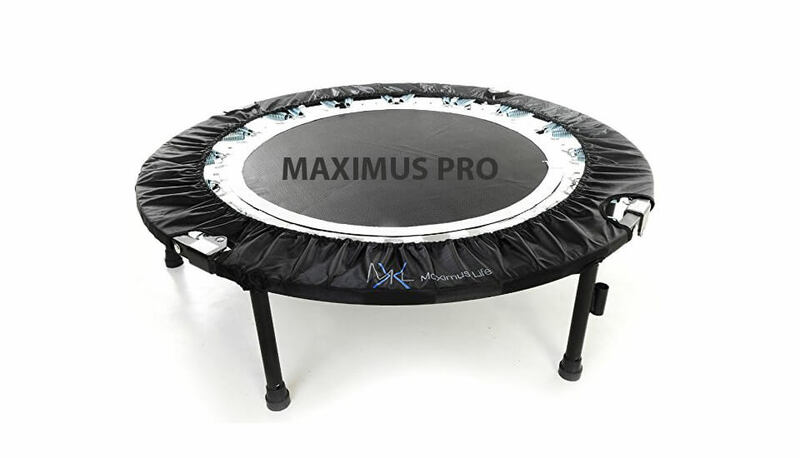 Good price, good warranty and excellent quality (except for mat) this trampoline is well worth of buying if you have one small child who will use it!